We are just back from Croatia. We had a great time. 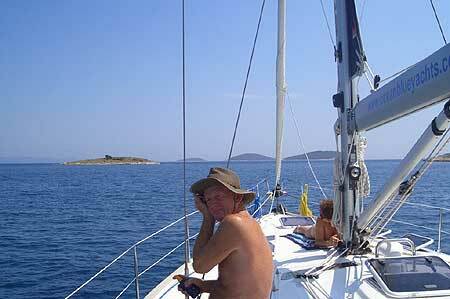 We hired a sailing boat for a week with friends. (Hardly wore clothes all week!-along with most other people on boats). Lovely bays to anchor in alone, and small uninhabited islands to walk about naked on. Heaven! We spent another week just exploring around the lovely coast line on foot. There were no beaches were we where, between Split and Zadar, but if you buy some sea shoes from any market in Croatia, the rocks are no problem. Rooms were easy to find in most places. Just knock where it says 'Apartment'. They were always clean and often with great views for very reasonable prices. The plumbing was often new, but poorly working, it is fine in a hot place like that. The main thing you always want in the rooms is a good bed, crisp clean linen and some water. We always got that. I think the people have been able to get cheap funding to sort tourist rooms out since the war. So they look great, but I'm not sure there were enough qualified plumbers about. We found places all over to strip off on, and usually other people soon joined us. If you just avoid the town beach or lido then around the corner just do your own thing. Not one day where we couldn't find a place to be bare. Swimming in the sea is to die for! Warm-clear, full of life and you can snorkel for hours. Put sun cream on your bum first though! Our best place was a tiny island, just off the headland at Primosten. 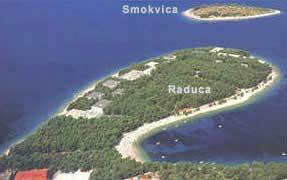 It is called Smokvica and the guy who does banana boats etc. runs you over there. Be warned though. No facilities at all so take all your own, and play Robinson Crusoe for a day or two. The Tourist centre told us you couldn't get there, but you can; just walk around the green headland to where you see the boats. The people all over seem brusque at first, but we found the moment you got talking they were all very friendly and pleased to see you. Older people mostly only speak German, younger ones are learning English at school now. But always have a go at some Croatian yourself first, its easier than you think. We always like to be able to greet people and to say thank you in their language. The food was very good. Mostly we ate what they offered us rather than try to pick from menus. 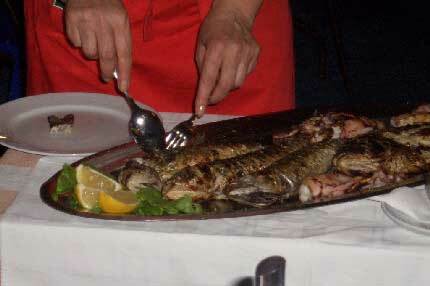 The fish was how you wish it was in Greece but seldom is anymore. We shared large plates for two people of three or four types of Med fish and prawny things, and shelly things...all very good. The new wines from Primosten are very good esp. the new red served chilled. If you are about to go, can we come back with you? Thanks David for this report and the photos.